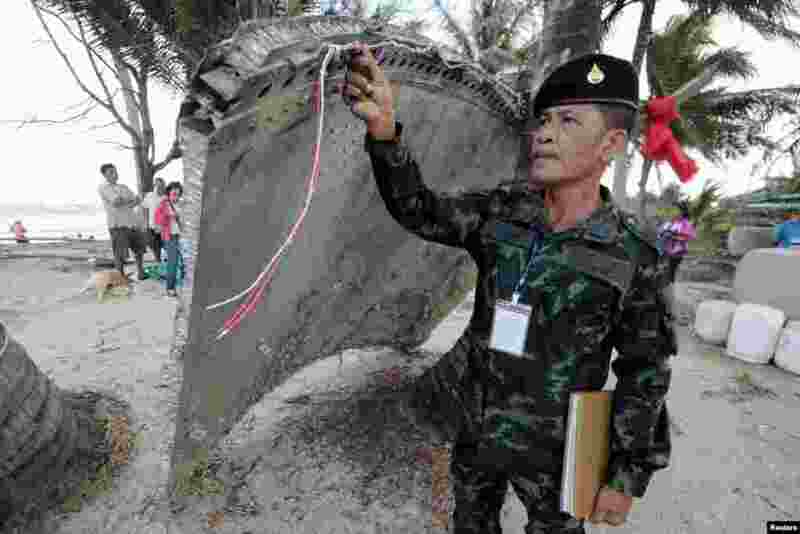 1 Thai army soldier inspects a piece of suspected plane wreckage which has been found off the coast of southern Thailand in Nakhon Si Thammarat province, Jan. 24, 2016. 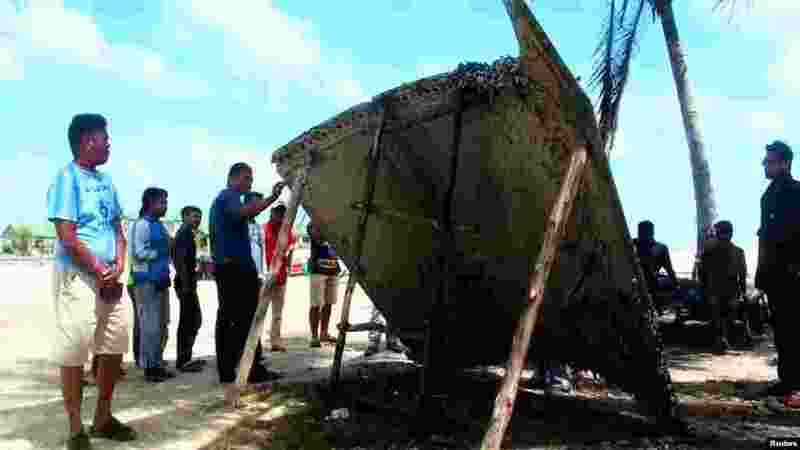 2 People stand next to a piece of suspected plane wreckage which has been found off the coast of southern Thailand in Nakhon Si Thammarat province, Jan. 24, 2016. 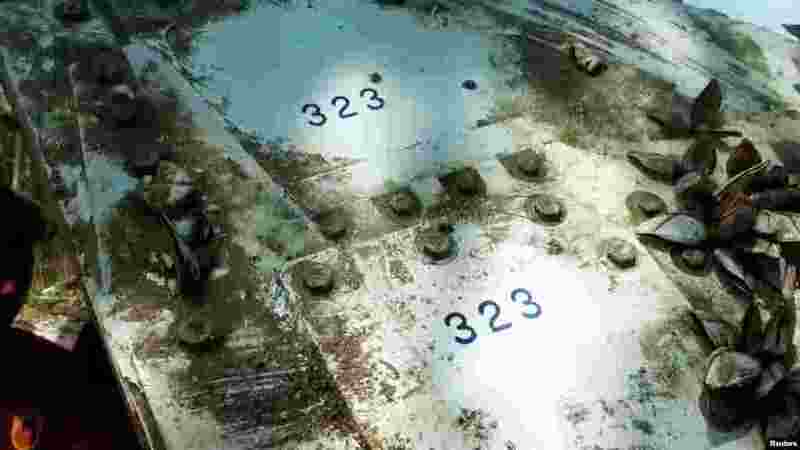 3 Details of a piece of suspected plane wreckage which has been found off the coast of southern Thailand is seen in Nakhon Si Thammarat province, Jan. 24, 2016. 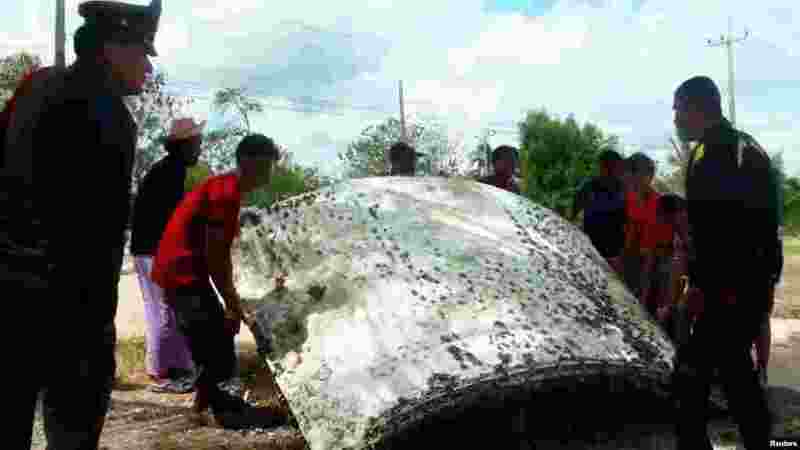 4 People stand next to a piece of suspected plane wreckage which has been found off the coast of southern Thailand in Nakhon Si Thammarat province, Jan. 24, 2016. 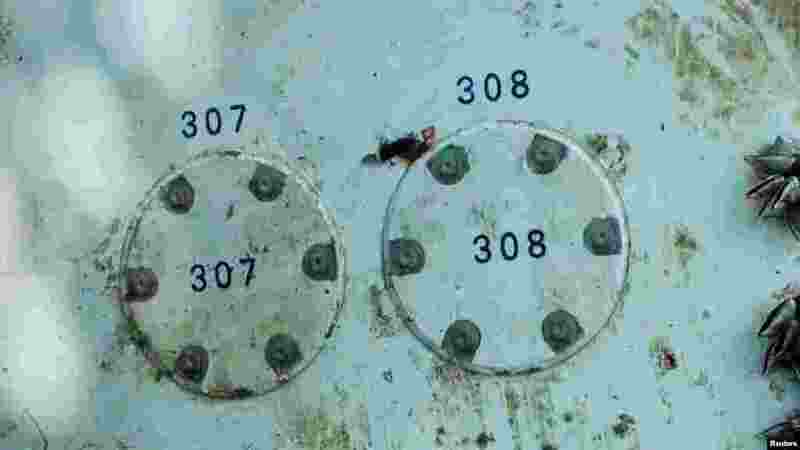 5 Details of a piece of suspected plane wreckage which has been found off the coast of southern Thailand is seen in Nakhon Si Thammarat province, Jan. 24, 2016. 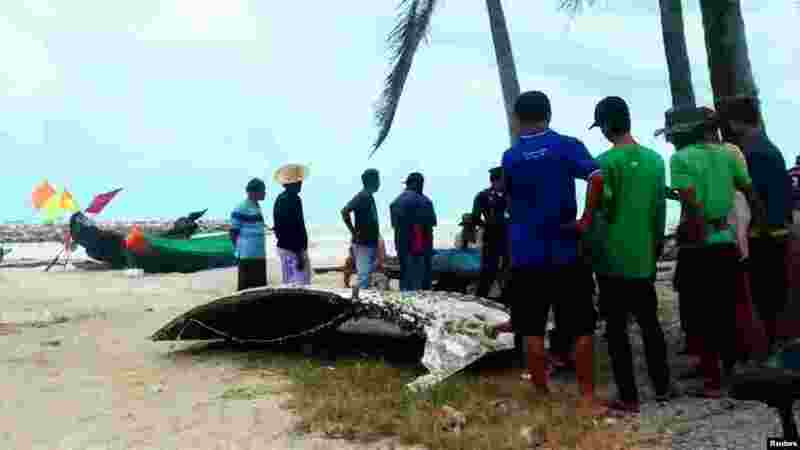 6 People stand next to a piece of suspected plane wreckage which has been found off the coast of southern Thailand in Nakhon Si Thammarat province, Jan. 24, 2016. 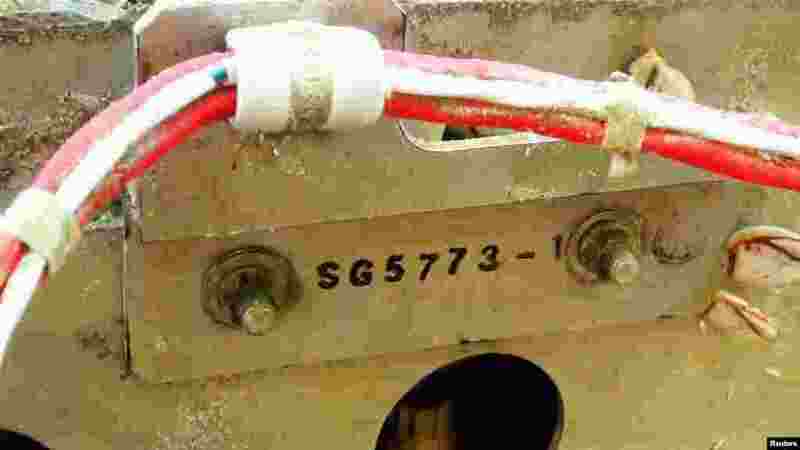 7 Details of a piece of suspected plane wreckage which has been found off the coast of southern Thailand is seen in Nakhon Si Thammarat province, Jan. 24, 2016. 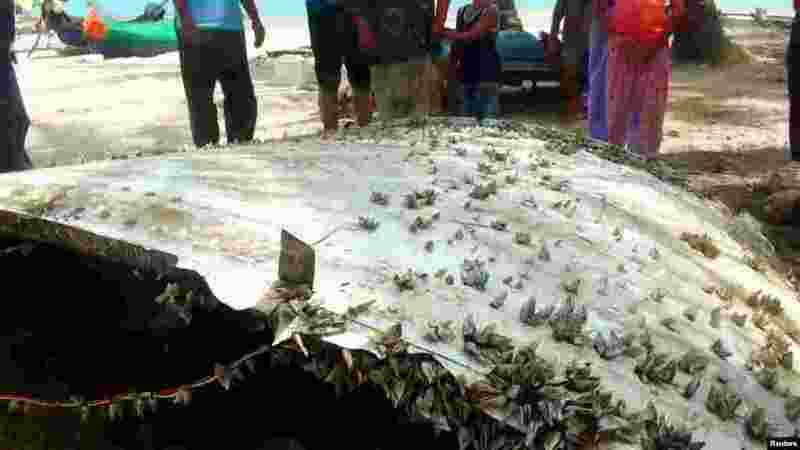 8 A large piece of curved metal with barnacles attached washed ashore in Nakhon Si Thammarat province, Tanyapat Patthikongpan, Jan. 24, 2016. 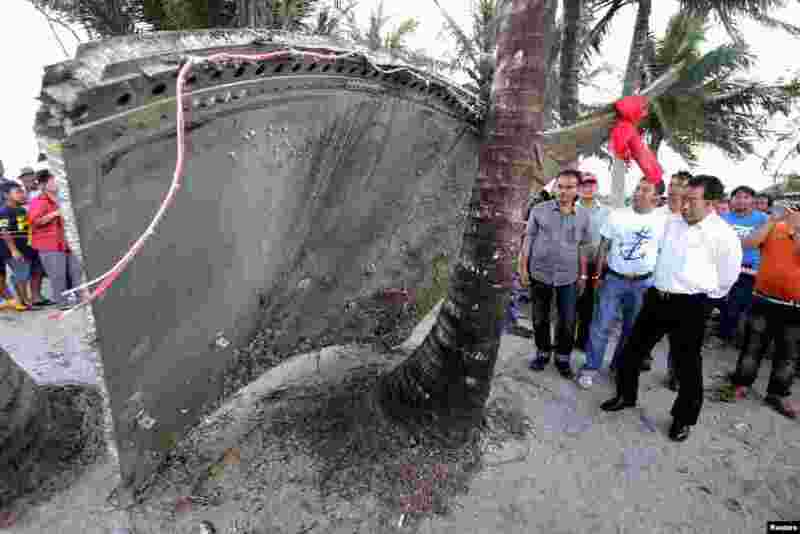 9 People stand next to a piece of suspected plane wreckage which has been found off the coast of southern Thailand in Nakhon Si Thammarat province, Jan. 24, 2016.